08.01.2014, Books, by Jack W Perry. Every so often it is time to clean out the books on my nightstand. 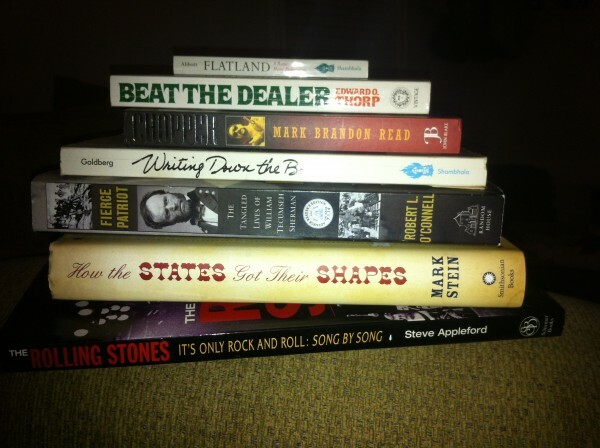 Each of the following are titles that I am either currently reading, browsing or have finished. I enjoyed each one but for different reasons. This is a circumstance that physical books are better than ebooks. I can pile them up and grab what I want. Sureit can be done via digital too, but I like the “feel” of the physical. 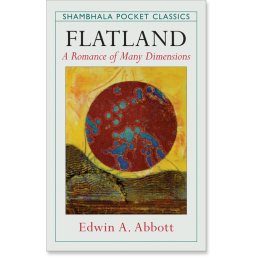 1) FLATLAND – (Edwin A. Abbott – Shambhala Pocket Classics) – A book that was originally written in the late 1800s. The world is two-dimensional and then a 3D character enters. The “disruption” of the current society scares people and the react with anger. In addition to the wonderful and timeless fable, I enjoy the format this book is in. It is part of Shambhala’s Pocket Classic series and the small trim size is perfect for traveling and collecting. 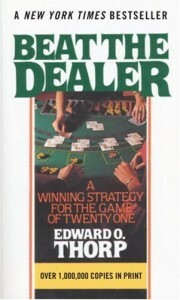 2) BEAT THE DEALER (Edward O. Thorp – Vintage) — This is a book that is a MUST read for anyone who plays or wants to play blackjack. Thorp is the creator of the basic strategy and county cards that is used by all who actually try to win at 21. Thorp is a math genius and figured out how to beat the casinos. 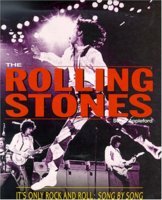 The book is 50 years old. The strategy is still as relavent as it was 1/2 a century ago and the history of Thorp’s process is still spot on. But the book cold use a revision. I feel it could be updated, reported and be a best-seller again. This one is worth re-invensting (if even the ebook only). 3) CHOPPER (Mark Brandon Read – John Blake Publishing) — I was given this book by a friend in Australia. I had never heard of this guy until I received the book. He was a criminal and a killer — but had a fascinating story. The book was delivered by the Book Depository. This company is amazing in that they deliver physical books throughout the world and do so efficiently and reasonable on their prices. A threat to Amazon’s dominance – so that is why they were sold to the Seattle-based on-line giant a few years ago. 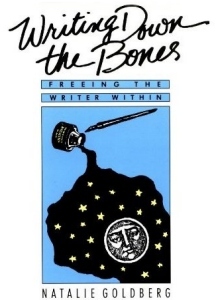 4) WRITING DOWN THE BONES (Natalie Goldberg – Shambhala) — This is another great book. If you want to be more creative (and everyone should), then this is one of those primers that you should read. I write notes throughout my book, draw ideas and just generally use the book as a “notebook.” I have tried to do that is ebooks and just doesn’t work. My drawings and notes in the physical book are far superior than writing notes by computer onto an ebook. 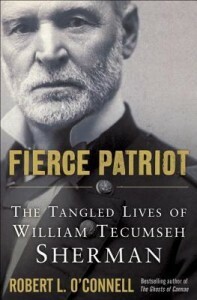 5) FIERCE PATRIOT (Robert L. O’Connell — Random House) — The subtitle is “The Tangled Lives of William Tecumseh Sherman.” I have read numerous books on Sherman and the U.S. Civil War, but this one added to my understanding. Sherman was one of the heroes of the North and one of the key people in the winning of the War. He was border-line crazy and could have easily been lost to history. It does show how fate can be a fine-line and how a few events can change the course of history. Another fact, when Sherman was marching through the South, he had an advantage because he had surveyed the entire area earlier in his career. He had a photographic memory and knew the terrain and landscape better than anyone. 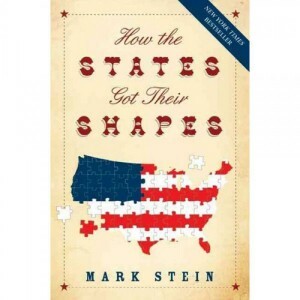 6) HOW THE STATES GOT THEIR SHAPES (Mark Stein — Smithsonian Books) — When I first saw this book, I immediately bought it. I thought to myself, “this is a great idea, I can’t believe it has not been done before.” I didn’t read this book in sequence (although the author suggests doing so). But I have read it enough times that I understood it all. Again, just like so much about history, many states shapes ended up that way by a quirk of fate. Some because someone just asked or even there was enough money to influence Congress. It also illustrates that the “firm borders” many think are set is stone are all relatively recent and are not sacred. They can be changed again and again if desired.